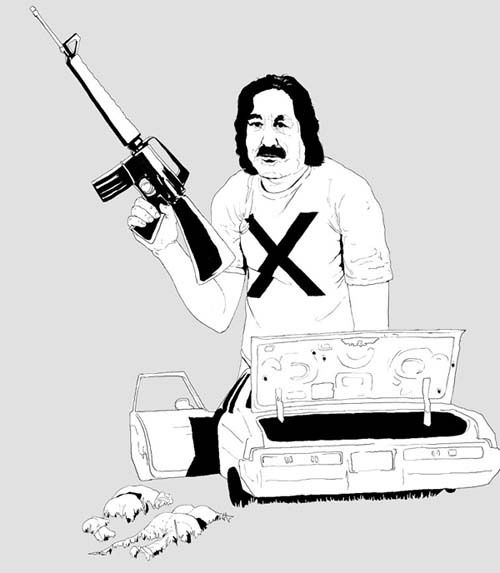 The fabled Mr. X, Leonard Peltier, looms over the crime scene, weapon in hand. FBI Agents Jack Coler and Ron Williams, their bodies moved a short distance from where they were murdered, lie face down in the dirt next to a bullet-ridden government vehicle. On June 12, 2005 Peltier made a public statement concerning the 30th anniversary of what he witlessly termed "another significant event." He claims those present that day were "warriors" and that he "mourn(s) the death of Joe Stuntz." Peltier has forgone any shred of decency and never even mentions the murder of Agents Coler and Williams. He has provided yet another example of a remorseless and delusional self-absorbed killer who deserves to remain in Lewisburg Penitentiary.